Hey guys! Today I’m going to do a review on SaleFreaks because someone asked me about it, and to be honest it seems too good to be true. Can this system really automate online arbitrage? I’ll get into it here so you can determine whether or not it is something you should try. 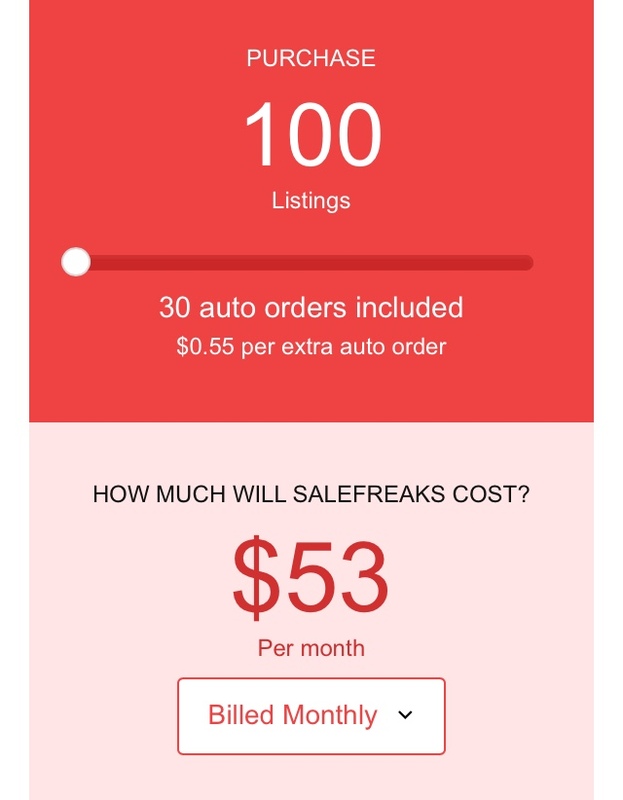 SaleFreaks is an online retail arbitrage software tool delivered in plug-in form. It helps people with arbitrage, where you buy products for a low price on Amazon and then sell for a higher price on eBay. 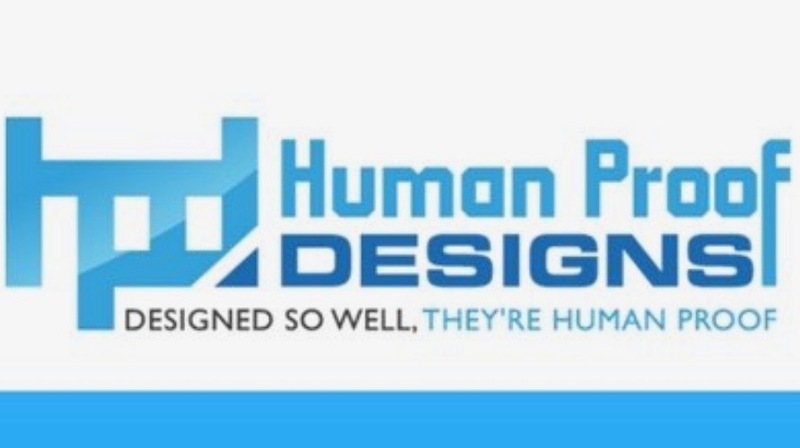 It is an automation tool for people who have too many products to keep track of. It helps you with every step of the process, from product identification to dropshipping. The first thing you do when you sign up is connect your eBay account. To create a listing, you go to the “Listing Wizard” on the menu, or just click “list an item”. You put in an Amazon URL or an ASIN (or multiple ASINs) of the item you want to list on eBay. Then you can either compare other listings of the same item, or list quickly right away. You can choose to search for a ‘super hot, really hot, hot, warm, cold, non competitive, or a ‘no competition detected’ item. Choose how many items you want to list, then click generate. Sale Freaks can supposedly handle all the things you need to do in one place, as apposed to using multiple software. It can sort the top sellers, list items on multiple eBay accounts, monitor amazon pricing, monitor the competition BIN price, and place orders then submit the tracking to eBay. This tool helps you find items to sell. You give them the parameters (products related to your niche) and their “scanner engine” helps locate high-profit items on Amazon that you can list on eBay. This tool monitors competitor listings of your products and re-prices the item for you. This means you don’t have to worry about pricing an item too high or too low. This tool is designed for successful eBay communication. Meaning you can communicate with all of your buyers in a single message. This tool helps you create SEO friendly descriptions for all your products. Meaning it helps your items rank higher so that when people search for them they find yours first. It can also list products from your online store to eBay. This tool helps keep all of the information on your items in one place. It shows all the items that have been ordered, the shipping details, a summarization for each transaction, etc. Do all of these tools actually work? Well this is a new software and will most definitely have some bugs to fix. However, it seems like it would really help people who have a lot of items that need to be listed on eBay. If you are just starting out and only have a few items to list, it would be better to just do it on your own and learn the concept in the beginning. If you are familiar and successful with arbitrage, you should give this software a try if you have a little money to spend. 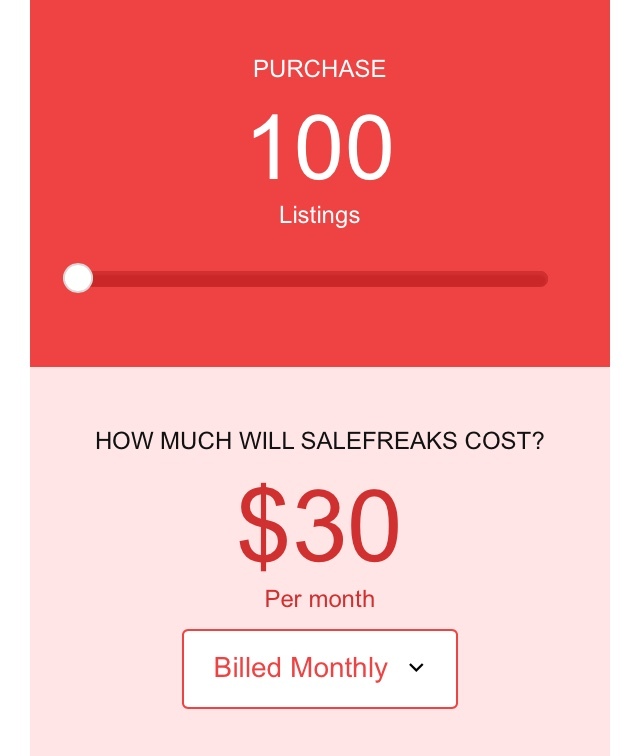 How Much Does SaleFreaks Cost? You can add one eBay account for free, but if you would like to add more accounts it would be to add an extra $5/month. In order to get started listing items and using the software, you have to put in some money. First you have to choose a plan using their “Pricing Calculator.” How much you pay is based on whether or not you want to use their “Auto-Order and Shipping Bot” software (which will help you manage your customers). You can also choose to pay monthly or annually. Then you move the dial and choose how many listings you want to purchase each month. The more you need, the more it will cost. For example: Say you need 100 listings each month. It will cost $30/month or $300/year without using their “Auto-Order and Shipping Bot” software, or it will cost you $53/month or $530/year to use the software. If you need more than 100 listings each month, it will cost you more. One thing to note is that you can only pay for SaleFreaks using a Paypal account. They are not able to receive payments any other way as of right now. I don’t know if this is a bad thing or if it is just because it’s a new software, but PayPal is a reliable source. You do get a free 14-day trial, and you can list up to 100 items for free! Another thing to note is that you get a certain amount of automatic orders whith your price plan. If you pass the amount of automatic orders they can make for you, you have to pay the difference the next month. 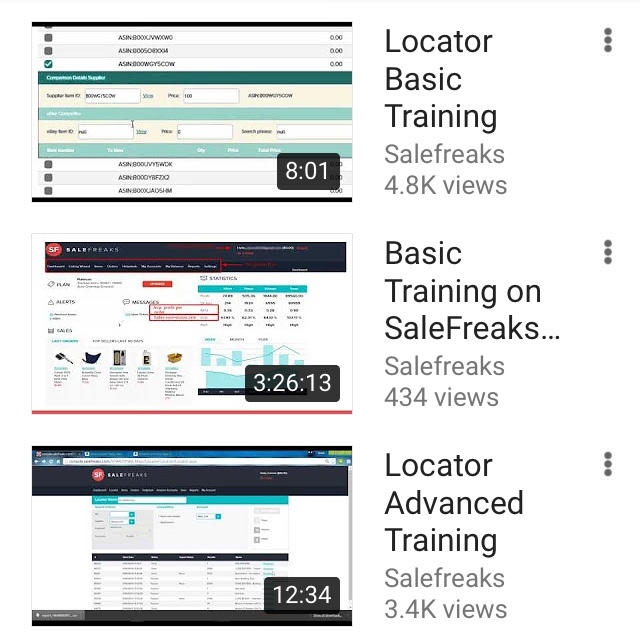 SaleFreaks does have some training videos on how to use their software, which is very beneficial if you understand what they are talking about. If you are not familiar with arbitrage it could take a little longer to catch on. They also have live weekly training webinars to keep you updated on all the things they are changing or other things that might help you with your business. However, you do not have any access to these webinars unless you are a paying member. SaleFreaks has a place to chat with either Roni, Avi, or Tal, and they are the ones that supposedly run the chat (seems like they would need more than 3 people). Roni messaged me as soon as I joined to check it out, but it was very automatic and doesn’t seem like anything special. I asked a question and it just said that they typically answer in a few hours, so don’t expect an answer right away. When they did answer my question they seemed to be very helpful. 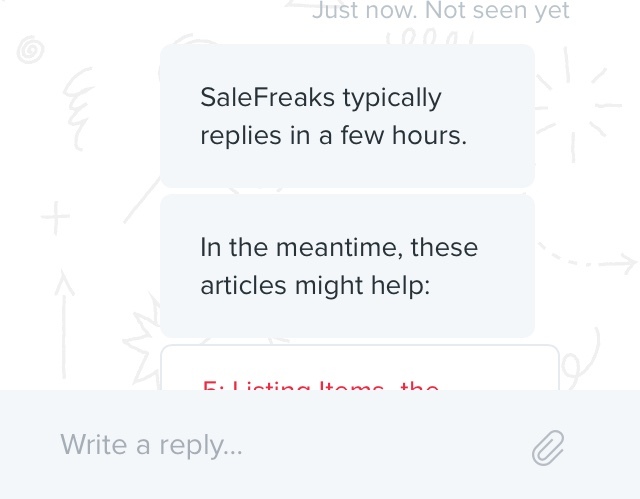 However, when I asked another question about an hour later it said SaleFreaks will be back tomorrow (and this was around 5:30 pm). It doesn’t seem like they will always be there for you, but will when they can. If you are looking for someone to help you every step of the way, it may take a while! You may cancel your SaleFreaks monthly or annual plan by emailing support@salefreaks.zendesk.com. After you cancel it you are still able log in, but only to view your reports. You just can’t list anymore items. So is SaleFreaks a scam? I think SaleFreaks can help people who are deep into online arbitrage and already have a successful business. You won’t have to spend as much time keeping up with the orders and making sure you have the best prices. However, if you are new to arbitrage I think you should learn how to list items manually on eBay, and learn the ins and outs of arbitrage before you use SaleFreaks. This software is ONLY for people who already have an online arbitrage store. I don’t think it’s a scam, but I do believe you will have to be careful since it is a new software. If you have any questions or have had experience with SaleFreaks, please leave a comment below! In my opinion, if you are looking for a way to make money online then I believe building a website is the BEST way to do it! The program I use makes it REALLY easy to learn how to build a website, send traffic to it, make commissions through affiliate marketing. With any online business, including arbitrage, it takes time, work, and dedication to make it successful. ← Profit With Alex – Is It A Scam? I’m using it right now, after using so many vendors I can honestly say this is the #1 out there, I’ve been working in this arbitrage business for two years now. They have the locator who scans for top seller vs other dropshippers, and their VERO scanner is a life saver. 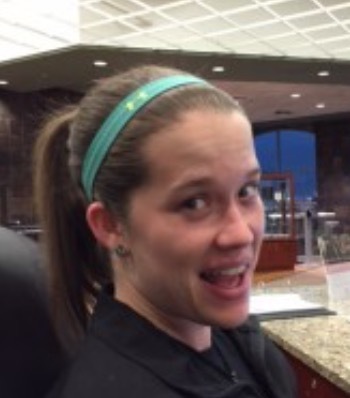 I can never get Sale Freaks to work. As for the support staff they just refer to this that or some other publication…..there must be better systems out there as it looks a scam. I’m sorry for your bad experience Martin. You should check out my #1 recommended program if you are looking to create an online business. All you do is follow the step-by-step video training to build your website, then continue the training to get it to start profiting. It is the only place that has truly helped me, and I know it can work for you as well.